Who knew our Jetson-like dreams of talking to robots would actually come true? Well it’s 2016, and we can practically have a full blown conversation with digital voice-activated personal assistants build right into our cell phones. Siri, Cortana, and Google can all tell us what time it is, what the weather’s like, and where we should go for our morning coffee, and mobile users are finally starting to take advantage of them. In the last year alone, the rate of voice search has grown exponentially. With recent advances in voice search technology, and the increasing convenience of simply being able to ask your phone for directions, more and more people are starting to use voice search, and it’s begun to affect SEO. Don’t believe me? Well what if I told you that in 2014 alone, 55% of teens, and 41% of adults reported using voice search on a daily basis? It’s true, and that number only continues to grow. Today, voice search now accounts for more than 10 percent of all global search volume. That’s more than 50 billion voice searches a month! That’s 50 billion searches a month that you could be targeting. Voice search is a major opportunity for SEO writers to take advantage of now, as it continues to grow. It’s fairly simple to target, and optimizing your content for voice search will help you rank for text search as well. What’s more, there’s way more relevant data coming from voice search that you can use to strategize your PPC ad campaigns for higher conversion rates. The first major difference between voice search and text search is how people go about asking for what they want. People using voice search often use more words in their query, than they would in a standard text search. Say for example, you’re searching Arnold Schwarzenegger. Your text searcher is just going to type in Arnold’s first and last name, and then hit the enter key. Your voice searcher on the other hand, is going to say “How many pounds can Arnold Schwarzenegger bench press?” That’s a whole lot of extra words, and all of those additional words are going to affect your keyword strategy. Clearly, people using voice search through personal assistants like Siri or Cortana are using longer search terms. This means to take advantage, SEO experts need to start focusing more on the long-tail keyword. SEO as we know it is changing, and the rising popularity of voice search means more and more queries are going to be conversational in tone. So by putting an emphasis on conversational long-tail keywords, you’ll be more able to target those consumers. Just as voice searchers are more likely to use conversational, long tail keyword phrases to search, they’re more likely to phrase their query as a question. A typical voice search starts “Hey Google, where can I find…” or “Hey Siri, how do I…” People are looking for information, and when we do that in real life, we ask a question. So it makes sense that Who, What, Where, When and How, are some of the most common words used in a voice search. For SEO experts, this means that all that work you’ve been doing to draw text searchers in with question-based titles is really going to pay off. We’ve long known that site viewers are more likely to click on a blog post with a question title, and now those question titles are going to help you rank for voice searches. If you haven’t been incorporating questions into your blog posts, an easy way to start is by thinking of the most frequently asked questions your business receives. By creating a blog post that addresses those questions, you’ll be ranking for people asking that question on voice search, and the people who search by text as well. In many ways, voice search is actually making SEO easier for content writers. Now, instead of trying to find creative ways to slip in your keywords naturally, you can just write naturally. 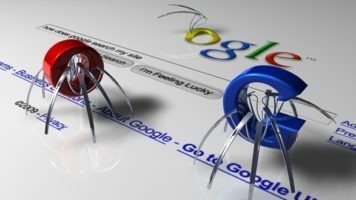 In recent years, Google has made a few updates, most notably Panda and Penguin, that are penalizing websites for keyword stuffing. While this was initially a big hit for many websites, the end goal was to improve user experience, something that voice search updates also continue to address. The best way to rank for voice searches is to write in naturally, because people are most likely to say those voice queries in a natural voice. This means when you’re thinking of those long tail keywords, make sure to include the little words. “Where can I find a new camera in the city.” While historically these would have been left out in an attempt to rank for short tail keywords, the rising prevalence of conversational voice search makes those little words increasingly more important. To boost your ranking for voice searches, go ahead and keep them in. It’s good to know that they won’t hurt your text searches, they’ll actually boost your ranking for those long tail conversational keywords across the board. The big difference here is that in the voice search, intent is addressed. When a person searches digital camera on a text search, Google has no idea if they want to buy a camera, if they want to look at different types of digital cameras, or if they’re looking to figure out how digital cameras work. But when a person uses voice search, their intent is clear. They want to know where they can buy a camera, making their position in the sales funnel very clear, and making it a lot easier for you to write content that will convert those leads to sales. This is a major bonus for your paid search campaigns. You no longer have to guess which keywords are going to get you the highest conversions, because the intent in voice search is clear. Now, instead of bidding on something general like “digital camera,” you can bid on optimized long tail keywords like, “where can I buy a digital camera?” You know for a fact that the person searching this query is looking to buy a digital camera. They’ve made it through the sales funnel all the way to the decision step, and now they just need to click on your ad. Since you know people who search this question are super close to buying, the money you shell out for this term is worth it for the high conversion rates you’ll see as a result. Finally, let’s talk about local searches. They account for the vast majority of all voice searches. Why? Because people often use voice search to find nearby restaurants, coffee shops, autobody shops, malls, and anything else you can think of. We already knew local SEO was important, but now that personal assistants like Siri and Cortana are giving out directions, it’s become a necessity for any SEO content writer worth their salt to incorporate location into their blog posts and content offers. If you want to take advantage of local voice search, you need to get your NAP in order. NAP stands for Name, Address, and Phone number, and it’s so important that we wrote a whole blog about it. Once you’ve got that set across the board, start incorporating local language into your site, meta-data, and content. This will boost your text search results, and make you highly visible on voice search results as well. As technology continues to improve, voice search will only become more prevalent. 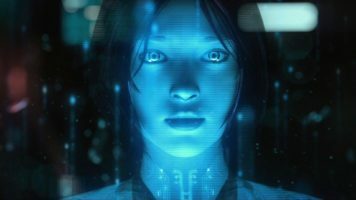 Siri, Google, and Cortana are becoming more and more perceptive, and while they can’t predict our thoughts yet, they are a very useful tool for the busy people of the world. It’s important to start taking advantage of voice search today, as these personal assistants become more popular. As you optimize your content for voice searches, you’ll see more conversions, and more leads. We hope these tips have been helpful, and shed a little light into the continuously changing world of SEO. If you have any questions about your SEO strategy, or if you’re looking to boost your digital conversion rates, make sure to get in touch.